Scribble Maps is a company that allows everyone from hobbyists, students, governments and military officials to draw, create, embed, and share maps easily. The basic service is completely free and allows users to create custom maps, widgets, and images. They can then share their custom maps with friends or publish them to a website/blog. 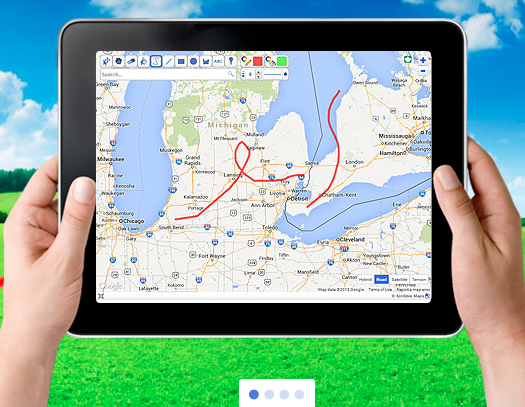 Users can add custom images/overlays to their maps, place text, place markers, draw shapes, and draw great circle lines. They can also use distance and area calculators, create maps on WordPress, create map images, PDFs, a variety of other files, and send maps to friends. The advanced tool gives users more control over their map data. Pro allows users to publish without advertisements and gain security and privacy for their maps. The API lets users integrate Scribble Maps directly into any mobile, web, or desktop application. If help is needed regarding map authoring, annotation, or sophisticated interactivity the API can help users understand the features of Sribble Maps even better. We have been pretty strongly rewarded for our patience however. In this space we are #1 in a lot of different categories and when most of our competitors are losing traffic, we are gaining them in droves. Listening to our users have also made them incredibly loyal. We are still not massive by any means but we are rapidly approaching the point where our only competitors will be Google, ESRI, etc..
One of the biggest projects we have right now is upgrading our pro product, this has been a large undertaking. Other projects we have on the go are in education and crowd sourcing. We have another project called http://www.mapyourlist.com that we are going to be improving as well with more analytical functions. Something we are really interested in doing as well is allowing maps created in Scribble Maps to be made to order in print, this is something that a lot of people are very skeptical of but we are pretty confident in it. We think it would be supper cool to allow people to get wall maps of their Scribble Maps. Excellent blog post thanks so much sharing it.